Men and shopping don’t always go hand in hand together, and this is especially true when it comes to buying something complicated, like diamonds. That’s right guys; buying diamonds isn’t as easy as it looks. In fact, there are so many things to think about! Take a look at the rest of this guide if you’re intrigued! Would you believe that all diamonds are not created equally? There are so many things to look for in a diamond, but you should base your decision on something called the 4 Cs. The 4 Cs are colour, clarity, carat, and cut. These are the first terms you need to learn before you start planning the wedding. The colour of the diamond refers to the colour – that one is pretty obvious. You can get diamonds of different colours, although rare. 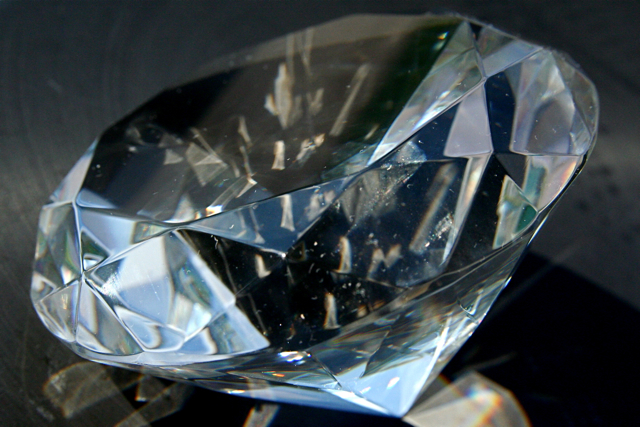 The clarity of the diamond refers to how clear it is when you look at it with a special tool. Does it have specs or anything that spoils it? The best diamonds will have the least imperfections. The carat is how heavy the diamond is. The cut is how well cut the diamond is, and this can reflect the brilliance of the diamond. If a diamond is well cut, it’ll reflect light from all angles and look gorgeous. Some men believe that as long as they get their girlfriend a ring with a huge diamond smack bang in the centre of it, they’ll be happy. But you need to remember that bigger definitely isn’t better. A big diamond could still be roughly cut and have a lot of imperfections. You’d be much better off getting something smaller and more valuable. Big diamonds only look absolutely amazing if they’re well cut and clear too! Please, I implore you, wait before buying the first diamond that you see. You may think you’ve found the one, but tell the salesperson you’ll be back. They’ll understand that you need to have a browse first. You can always go back to it, but you can’t always take it back if you find something better. When you get a certificate with your diamond, you have proof of its value. This certificate can help you if you ever need to claim on your insurance, and is reassurance when you want to know your purchase is genuine. Your other half may also want to pass the ring down through the family, so the certificate should be kept safe and sound somewhere. When you know these things about diamonds, shopping for them becomes a little more stressful. However, you can rest safe in the knowledge that you’ve bought something high quality and worthwhile with your cash. It should be looked at as investment after all! Nothing worth having was ever obtained easily, so make sure you take the time to search for the right one. Good luck and happy shopping!